We’d love your help. Let us know what’s wrong with this preview of Parallelism Of Cyclicality by Kat Lahr. Is humanity ruled by an underlying cyclical prescription? In this collection, we studied instances of cycles carried out in the space and time continuum that we live in. From photography to painting and the written word, this issue puts on display how cycles apply to our lives relative to one’s existence. Literary and visual artists from around the world record into the no Is humanity ruled by an underlying cyclical prescription? In this collection, we studied instances of cycles carried out in the space and time continuum that we live in. From photography to painting and the written word, this issue puts on display how cycles apply to our lives relative to one’s existence. Literary and visual artists from around the world record into the notebook real stories of life and the thoughts we generate about them, providing a glimpse into understanding ourselves and society, where our conscious has been, and the direction its going. 10% of all sales from this issue get donated to the Environmental Works organization. 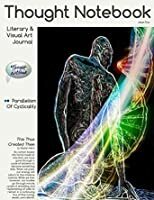 Thought Notebook Journal has won multiple awards for Indie Publishing, including the eLit Book Awards and the Next Generation Indie Book Awards in Anthology, Science, Ebook Nonfiction & New Age categories. Thought Notebook Journal is based on a true story: humanity’s story. This journal is a part of the Human Thought Project by which we document into the notebook thoughts and expressions on particular subjects. 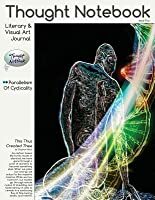 The journal is a unique intersection between science and the humanities encouraging deep thinking to understand humanity’s thoughts through study and inquiry. To ask other readers questions about Parallelism Of Cyclicality, please sign up. I promote the practice of strategic awareness by creating both physical and online content and spaces to educate, recognize our inherent problems, express our unique purpose, and synergize to connect what is working in the world to advance humanity. I believe that each person and organization has a unique role as part of a wider global community to create a peaceful, sustainable, loving presence on Earth, but we cannot begin to play that role until we become more mindful and aware of who we are, and what we want.